Healthy Habits Vol 2: 17 EXTRA Morning Habits That Help You Lose Weight, Feel Energized & Live Healthy! FREE BONUS FOR A LIMITED TIME ONLY: If you download this book TODAY, you will get a FREE DOWNLOAD of Linda Westwood's best selling book, Quick & Easy Weight Loss: 97 Scientifically PROVEN Tips Even For Those With Busy Schedules! From the Best Selling weight loss series, Healthy Habits, comes 17 EXTRA Morning Habits That Help You Lose Weight, Feel Energized & Live Healthy. This book will jump-start your weight loss, increase your energy level, clear your mind, and improve your overall health! Please note: This book is an extension to Linda's previously written, chart-topping and best-selling book, Healthy Habits: 13 Morning Habits. It is highly recommended that you read this book TOGETHER with that book (which you can find by searching for it in the Amazon search bar). Our lives are full of regular habits that we live by every day, and these habits determine who we are, as a result. 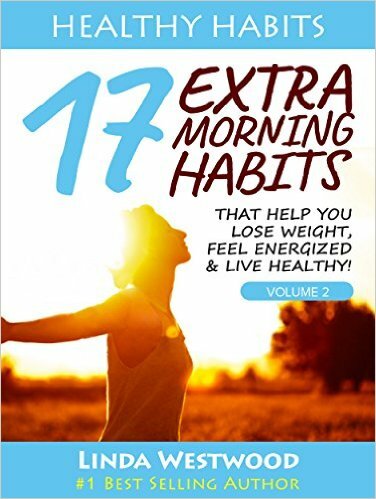 This book provides you with 17 separate morning habits that will completely change your life for the better. Along with discovering what these habits are, you will also learn why they are beneficial to add into your life, followed by a step-by-step Action Plan that shows you EXACTLY how you can implement them in your life immediately! Are you ready to look and feel slimmer, healthier, and sexier than you have in years? Then check out these morning habits that you are MISSING OUT on! • NEVER feel tired or exhausted in your day - EVER AGAIN!